Ford has unveiled new two tone Fiesta Zetec S Red and Black Edition models, with what it is billing as the most powerful 1.0 litre volume production ever, which I found rather impressive (the drive was really smooth when I tested it). But here at shinyshiny we are as much about the gadgets inside the car, as we are the way it performs. So here is a look at what we liked about the car after our test drive. Ford’s SYNC Emergency Assistance makes an automatic call to the emergency services if the car has been involved in a serious accident, using the driver’s mobile phone when connected by Bluetooth to the SYNC system. When the vehicle has been in an accident which is severe enough to trigger deployment of the airbags, Emergency Assistance automatically dials 112 and transmits a message stating that a Ford vehicle has been in an accident and gives the GPS location. This means that even if you’re unable to speak when calling the emergency services, they’ll still know exactly where you are and, obviously, come help you! 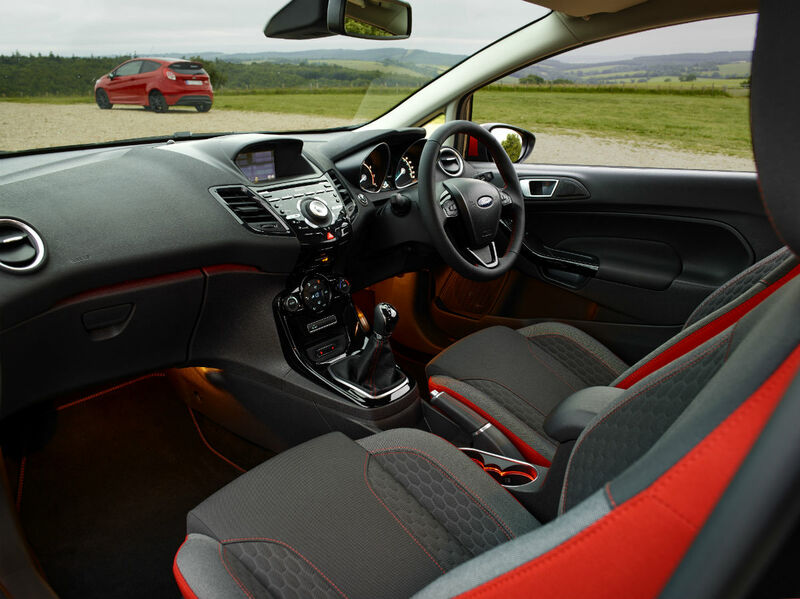 Exclusive to Ford, MyKey enables owners to programme a second key – usually for younger drivers – that restricts the top speed of the Fiesta, reduces the maximum volume of the audio system, and even disables the audio system altogether if driver and passengers are not using safety belts. I am not entirely sold on the audio restrictions, though I can think of a few local boy racers for whom it would be a good thing! It can also prevent the driver from deactivating safety technologies such as Electronic Stability Control and Active City Stop, which can help mitigate or prevent low-speed collisions. While this is a really great and safe feature for young drivers, it can also be used on friends as a prank – if they’re set to do a long motorway journey, set the top speed to 50mph and give them the second key! The car can read out your text messages, and you can get it to send a text back to whoever you want, with your voice. OK, so it was a tad disappointing that, as an iPhone user, I couldn’t get my texts read out, when I test drove the car, but it’s still a pretty cool feature, if you have an Android. Everything in the car can be controlled by your voice. I got it to play my favourite songs and phone my friends. Much safer than having to fiddle around with the screen while driving, instead of looking at the road! Through Bluetooth, absolutely everything on your phone can be linked into the car, from your address book to your music, so basically your car just becomes your phone too. There was also the option of connecting your phone through a USB port, if you want to charge it at the same time. 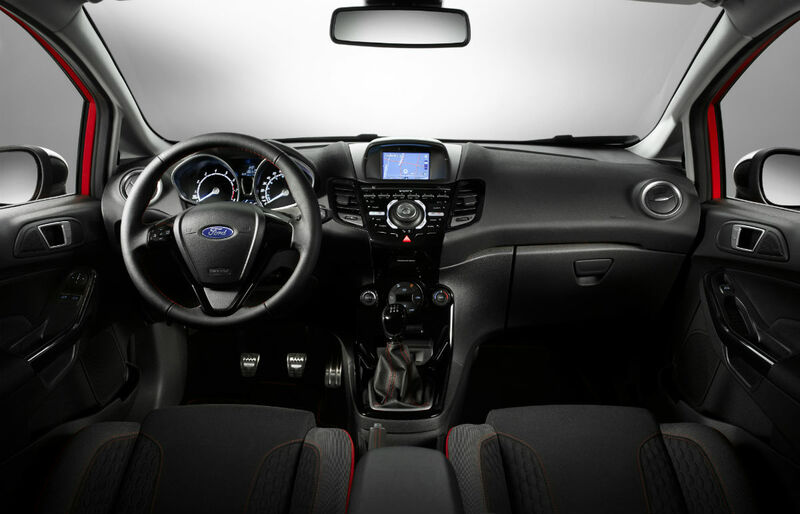 The Ford Fiesta Red and Black is available to order now for £15,995, and will be available in September. Will new selfie app Booster help you reach your goals?